Well, what better way to show the folks back home that you’re behaving yourself than by hitting the street at 7:30 a.m. in your running shoes while raising money and awareness for an important issue — decent housing? 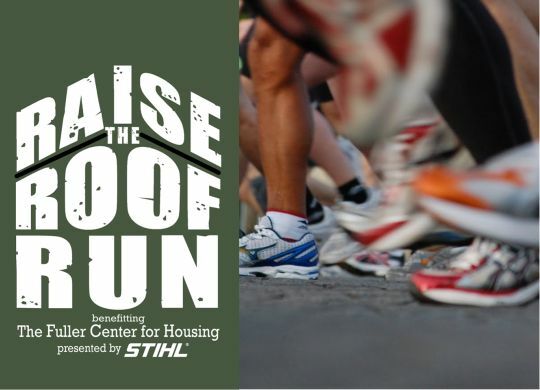 The Raise the Roof Run is a 5K run/1-mile walk being hosted May 10 in Las Vegas by the North American Retail Hardware Association and National Hardware Show with STIHL as presenting sponsor. The run will take place at beautiful Sunset Park with a complimentary shuttle from the Strip. Lyft coupons also will be available. Registration starts at $35 for runners and $25 for walkers. All registrants will receive a custom event tool belt, a finisher medal and video and a swag bag. Register by April 15 to receive a free technical material race t-shirt. All proceeds will go to The Fuller Center for Housing’s work of partnering with families to help them have simple, decent places to live.